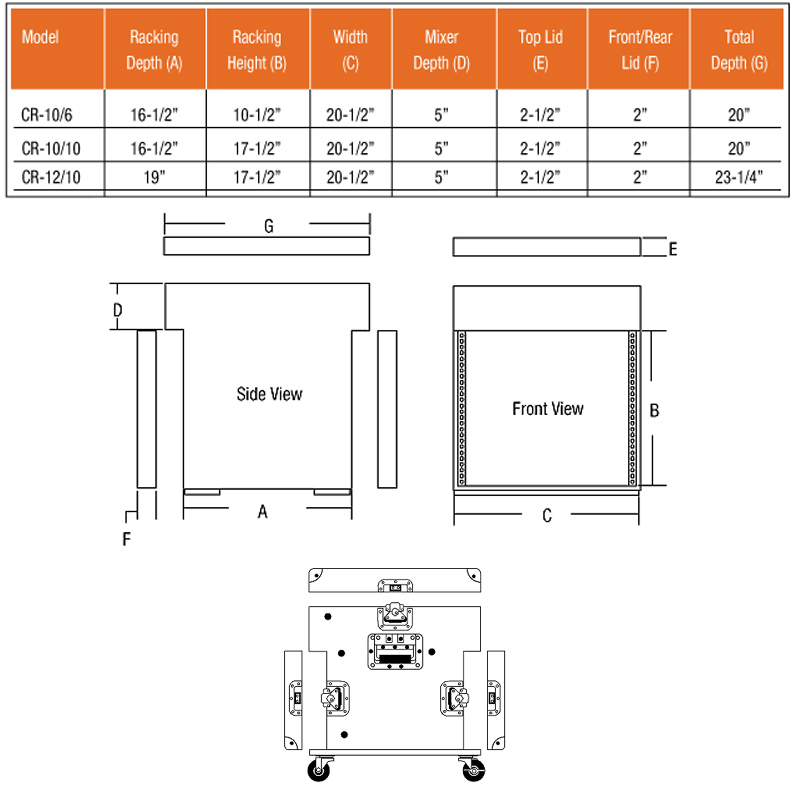 More on the Chief Raxxess Mobile Converta Rack (Gray) CR-1 below. 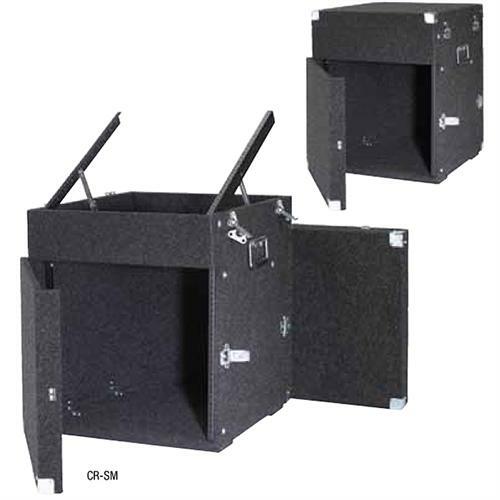 An ideal solution for DJs and musicians, allowing quick and easy equipment mobility, the Chief Raxxess "Converta" rack features dual storage compartments and a lightweight, portable design. Remove the top of the rack, and 10 or 12 spaces of gear can be moved to any of 8 different stops (from 0-45 degrees). Remove the front panel for 6 or 10 equipment. Remove the rear cover for easy patching and cable access. Removable top, front and rear panels. Heavy-duty butterfly latches and releasable hinges. A durable grey carpet covering and nickel-plated corners. CR-10/06: Has 10 top spaces and 6 body spaces. CR-10/10: Has 10 top spaces and 10 body spaces. CR-12/10: Has 12 top spaces and 10 body spaces.